Possible symptoms of Celiac Disease! Many of these symptoms can and are treated with conventional medicine like over the counter drugs for joint pain, canker sores, antacids or prescription medication for depression, migraines or GERD. However, treating the symptoms is not the same as getting to the root cause. After testing for Celiac confirms the diagnosis, a Gluten Free diet may alleviate the symptoms by taking away the cause of the symptoms. Read over this list and see if you identify with any of these symptoms. 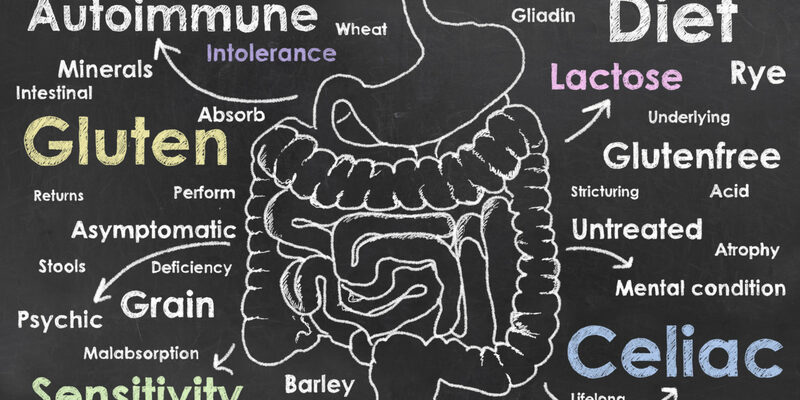 If you have any of these symptoms and are concerned that you may have Celiac disease, the first step is to get tested before going on a Gluten Free diet. The blood test analyses your body’s reaction to gluten. If you start a Gluten Free diet prior to being tested it may result in a false negative. Get tested first, it’s a simple blood test. Even without having Celiac, following a strict Gluten Free diet may help with any number of the symptoms listed above. Contact me for assistance if you are interested in learning more about how to follow a 100% Gluten Free diet.